It’s here, the Stanley Cup finals are finally here. While some of our teams didn’t advance as far as we’d wish, it doesn’t appear that Panic! At the Disco’s Brendon Urie can say the same. Yesterday, May 28, marked game one of the National Hockey League’s Stanley Cup finals and it’s pretty safe to say that we are stressed. We couldn’t have imagined that the newly founded Vegas Golden Knights and seemingly cursed Washington Capitals would be the teams going to the end, but here we are. 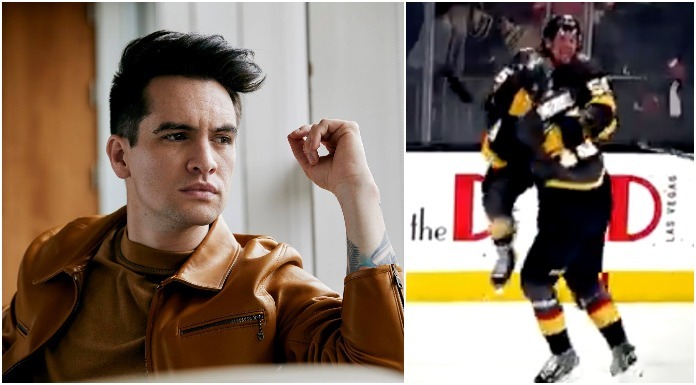 Of course, that doesn’t mean Brendon Urie had any doubts that his hometown team, the Vegas Golden Knights, would make it all the way into the finals for their inaugural year. Some could even say Urie had some pretty high hopes. In a promotional video for the final games, the band shared a video to their Twitter showcasing both team’s journey to the cup, with the tune of the band’s latest song “High Hopes” playing in the background. We’re not sure our hopes are nearly as high, but we’ll see when the Washington Capitals go against the Vegas Golden Knights for the final games of what is sure to be one of the most anxiety-inducing of the series. So, as they say in hockey (well, according to Chance The Rapper)…let’s do that hockey. Who do you want to be the Stanley Cup victors? The Caps or the Knights? Sound off in the comments below! Next articleHow well do you know the lyrics to “Rose-Colored Boy” by Paramore?